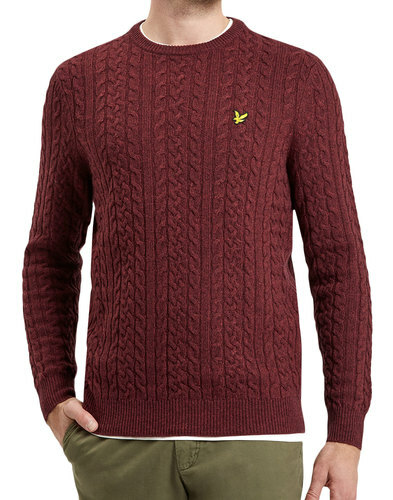 Original Penguin Mens knitted basket weave jumper. A luxurious 100% wool knitted jumper packed with Retro styling. With a cool textured basket weave design to front panel it adds a neat 1960s vibe. 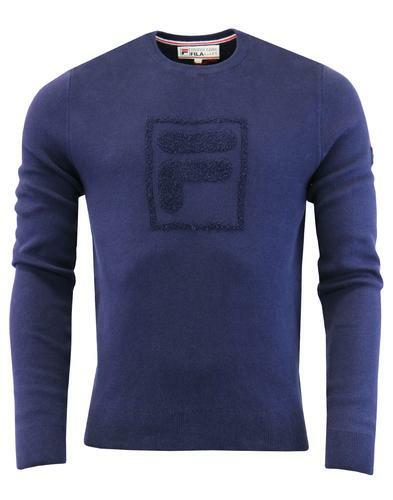 Made in Italy, this ace jumper is made out of the finest Italian wool! 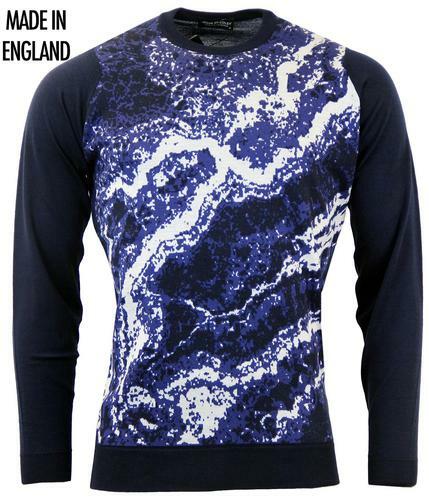 Great for layering in the colder months, it's sure to keep the chill out whilst keeping you look stylish! 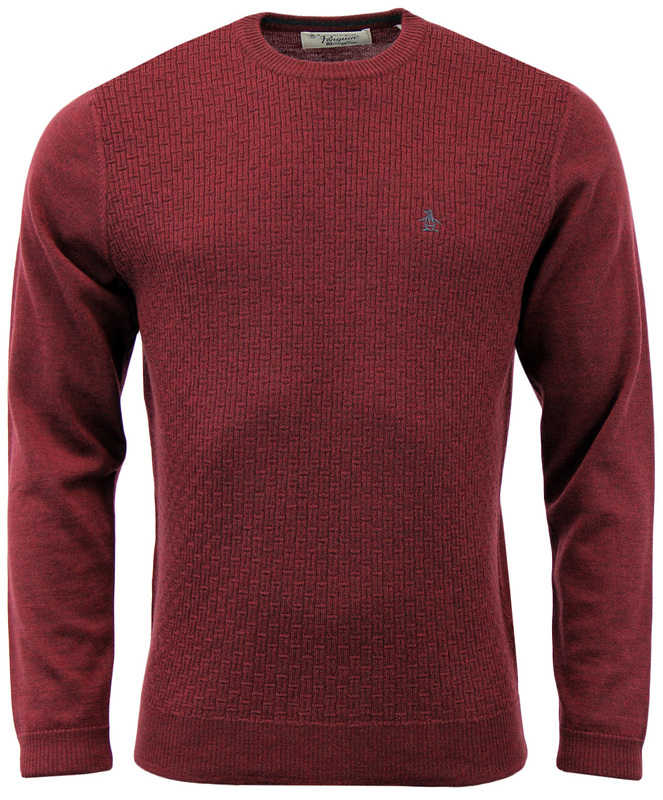 Original Penguin Mens knitted basket weave jumper in pomegranate. Long sleeve jumper. 100% Wool. Finest Italian wool construction in pomegranate. Textured basket weave design to front. 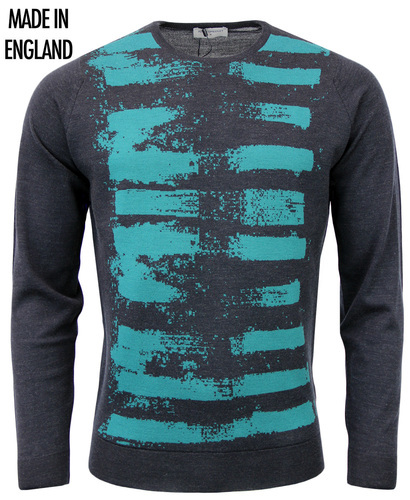 Ribbed hem, cuffs and crew neckline, Original Penguin iconic embroidered motif to chest. Key Points: Original Penguin long sleeve knitted jumper. Basket weave design to front panel. Made in Italy.